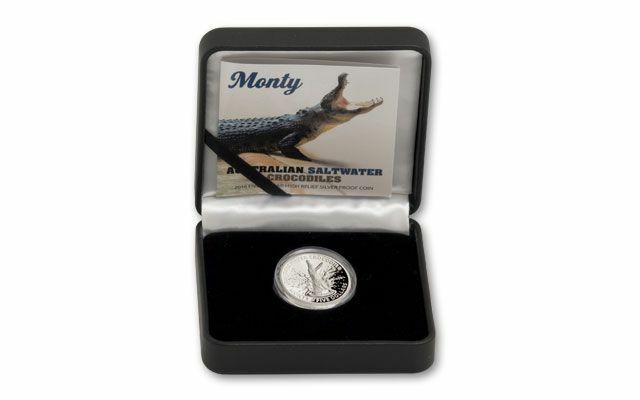 This 2016 Monty Crocodile Silver Dollar Proof is the next release in the Royal Australian Mint's Saltwater Crocodile series. 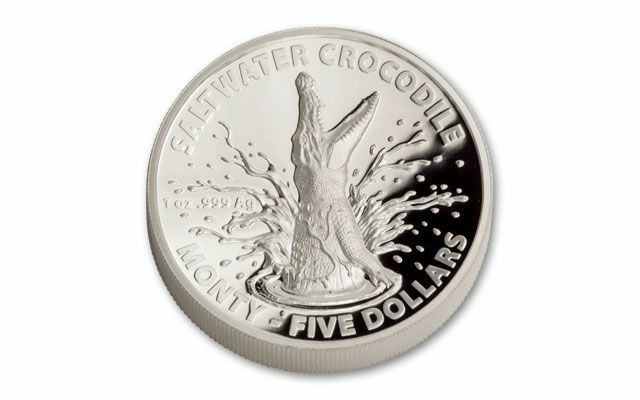 Each legal-tender proof is struck in one ounce of 99.9% fine silver and features an Australian sensation, Monty the Crocodile. 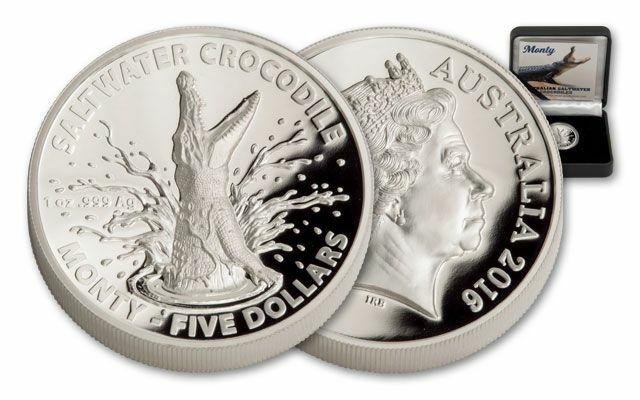 First captured in 1975, he was one of Australia Zoo's star attractions which helped him land his role in the 2002 film The Crocodile Hunter: Collision Course. Each features an action shot of Monty with one of his widest smiles. 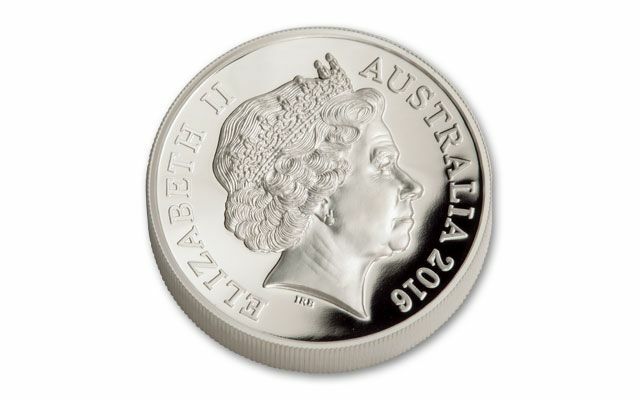 Each proof comes in a case with a mint-numbered certificate of authenticity. Only 1,500 were struck. Snap one up ASAP!